Keeping records is an important government activity. Information schedules are used to determine how government records are classified and managed during all stages of their use. We are asking the public to be part of an ongoing decision-making process to help guide the management of government records. The Ministry of Citizens’ Services, Government Records Service wants to hear your ideas on how long various government records are kept, and whether they should be ultimately destroyed or sent to the government archives. Your feedback will be considered as part of an ongoing review process for information schedules. Comments will be assessed in the context of all other information received. Once all reviews and amendments are complete, the Chief Records Officer will give final approval to the schedule, and it will be published on the Operational Records Classification Systems website. Transparency and accountability are important to us. 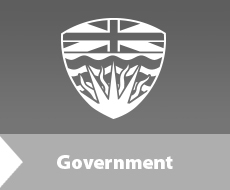 We know these values are also important to British Columbians. Whether it’s health records, school records, budget documents, advice papers, adoption records, emails or any other information that government creates and maintains, we want you to have a say in how this information managed over time.